An article was written in June 2018 asking the Nigeria Police Force questions on the whereabouts of the principal suspects of the Offa, April 2018, robbery – Michael Adikwu and Kayode Opadokun. The story was premised on a report by TheCable that Michael had died in police custody – a report that was denied by CSP Jimoh Moshood, the Police PRO. Michael was a dismissed police officer who supplied guns and other ammunition for the operation and confessed to killing about 21 police officers during the operation that left about thirty-five people dead. Several months after that deadly incident, the Police have come out to confirm the report – Michael Adikwu is dead. The police neither confirmed the cause of death nor the date of his death. This has sent out a wrong message about the Nigerian Police’ readiness to carry out a thorough investigation into an occurrence that sent many to their early graves. In more serious environments, Michael would have been protected heavily in a bid to extract information from him concerning the robbery. But in Nigeria, we will rather look the other way. Okay, Michael has been confirmed dead but where is Kayode Opadokun? – another prime suspect whose whereabouts has been shrouded in mystery. Kayode is the son of Afenifere Chieftain, Mr. Ayo Opadokun. 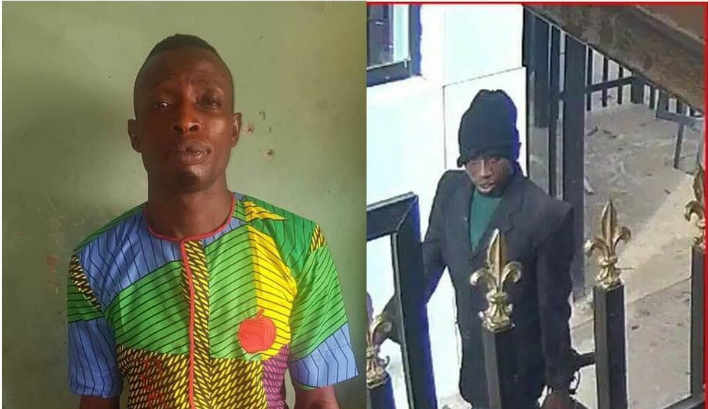 He participated in the robbery and was arrested but like Adikwu, his name disappeared from the list of suspects submitted to the Directorate of Public Prosecution by the Nigerian police. His disappearance is a mystery the Nigerian police must unravel to Nigerians. Currently, the police has made a mess of the Offa robbery incidence through shoddy investigation and politicisation but it’s important they come out clean and set the record straight concerning Kayode Opadokun. Offa robbery victims deserve justice.